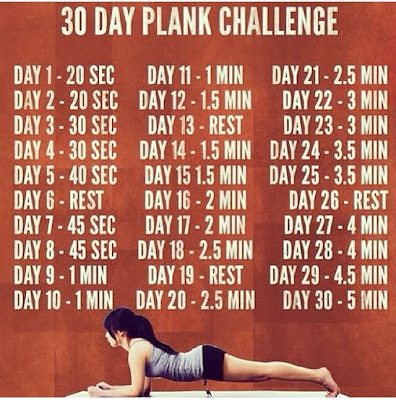 Anyone want to join me in a PLANK CHALLENGE for the month of November? 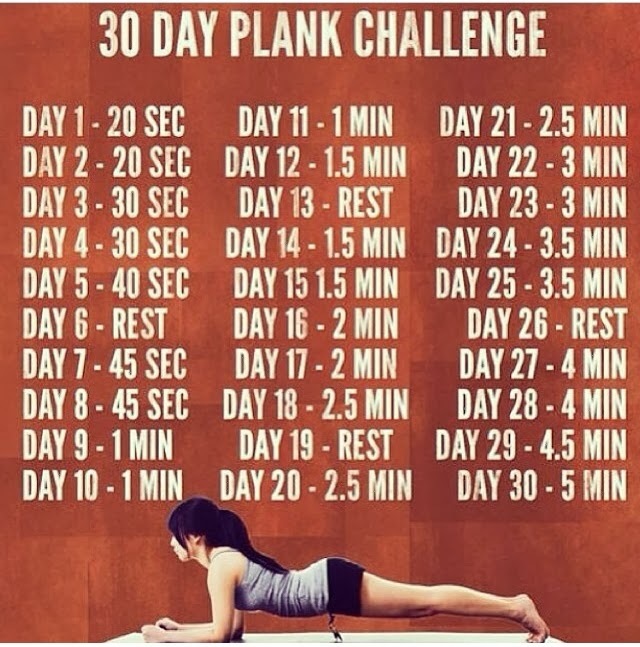 I have to confess, I have NEVER done a plank before - but I figured WHY NOT START?! No better time than the present, right? And core strength is definitely something I can always work on. I should also say, I am slightly intimidated that the challenge goes up to FIVE MINUTES, but hey, I'll give it the old college try! I'm joining you! I definitely need to work on my core!